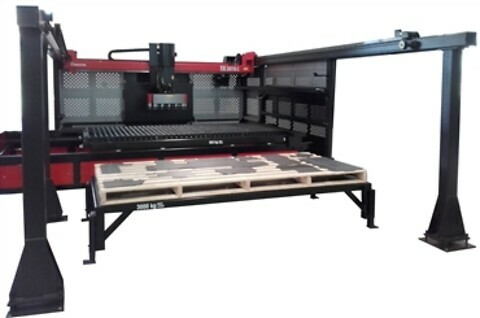 The Amada TK-L provides a solution for the automatic collection, sorting and stacking of laser cut parts without interruption of the laser machine. Easy off line programming is mogelijk met de integratie van Amada's Dr. ABE Blank software. Smooth vacuum handling and a minimum part drop height allows the easy processing of surface sensitive materials. Precise stacking of parts makes robotic bending or other automated handling possible in the next production process. Parts with complex shapes can be handled by individually controlled suction cups.